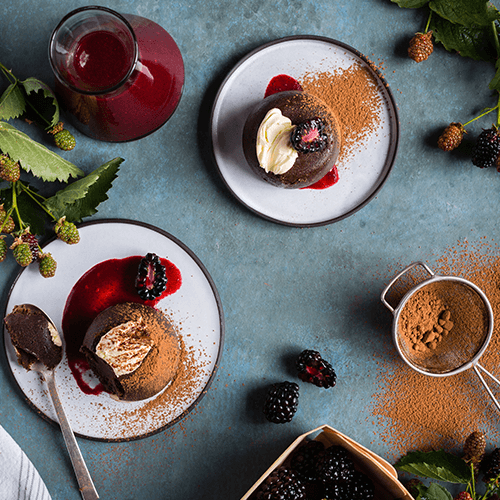 Make baking look easy with this blackberry torte! Easy prep with a luscious result, this recipe is sure to satisfy any cravings. Preheat the oven 160 degrees Celsius. Grease a 6-cup capacity muffin tin. 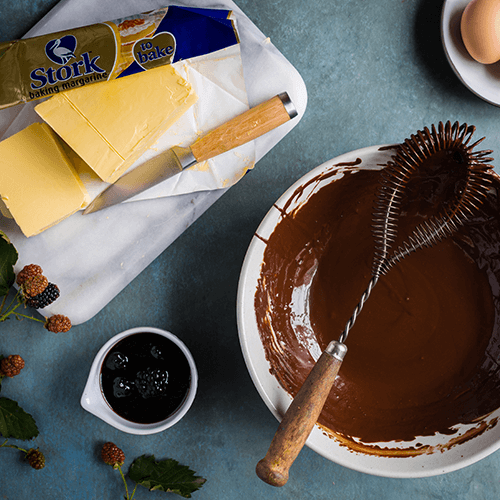 Place 225g chocolate, Stork Bake and blackberry jam in a saucepan and heat until the chocolate has melted. Allow to cool. Whisk together the eggs and syrup. Whisk in the chocolate mixture until smooth. Divide between the greased muffin tins. Bake in the preheated oven for 18-20 minutes or until puffed and cracked on the top. Remove from the oven and cool completely. 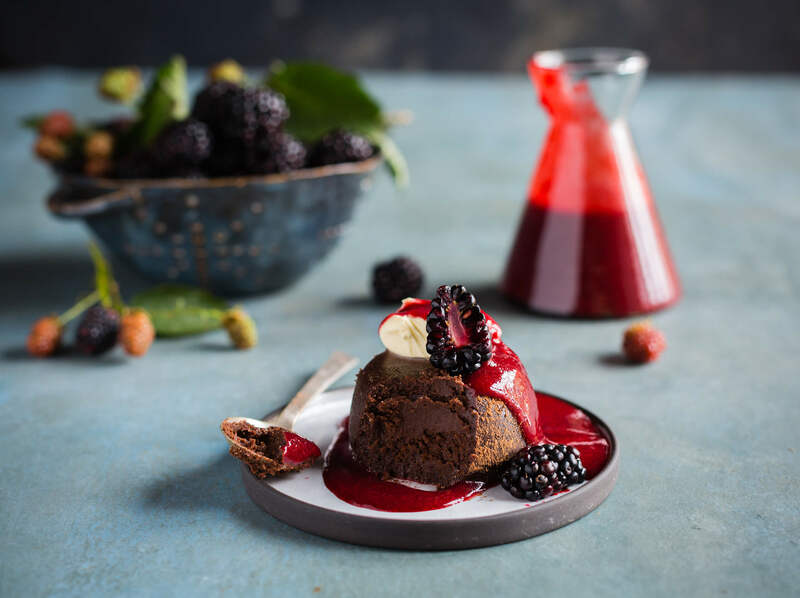 Melt the remaining chocolate with the coconut oil in the microwave on full power for 30 seconds, stirring every 10 seconds. 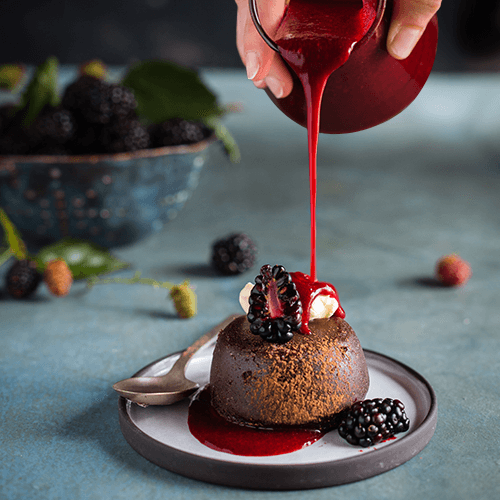 To serve, top the tortes with crème fraiche and fresh blackberries and drizzle with the chocolate sauce.